Congratulations to Drs. Jones, Sinha and Bezares, for receiving an award from the Texas Commission on Environmental Quality (TCEQ) fora project, entitled “Arroyo Colorado Watershed Protection Plan Implementation – Modeling and Maintenance Training of BMPs for Bacteria and Nutrient Uptake” in the amount of $167,244. 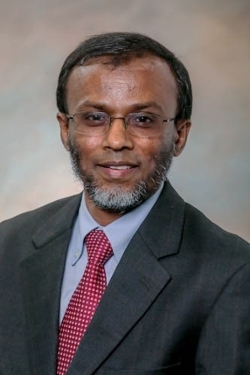 Congratulations to Dr. Shah Alam and Dr. Larry Peel for receiving an award from the Department of Defense Research and Education Program for a research project, entitled “Ballistic Impact on Composite Armor System” in the amount of $599,680.